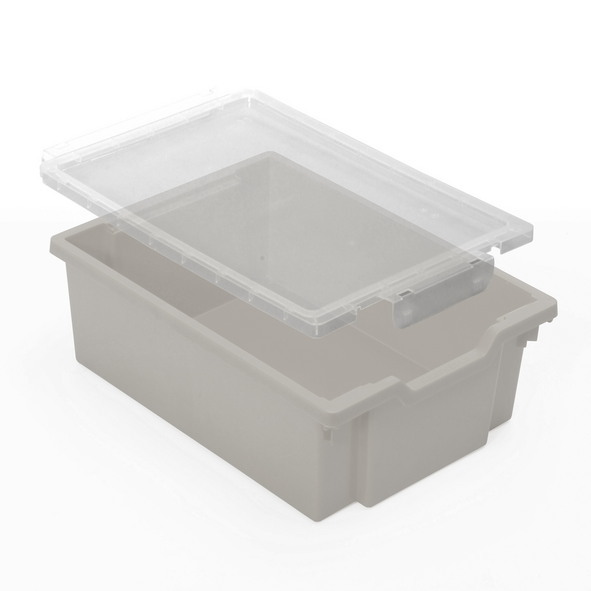 To store devices, in particular for student experiments. 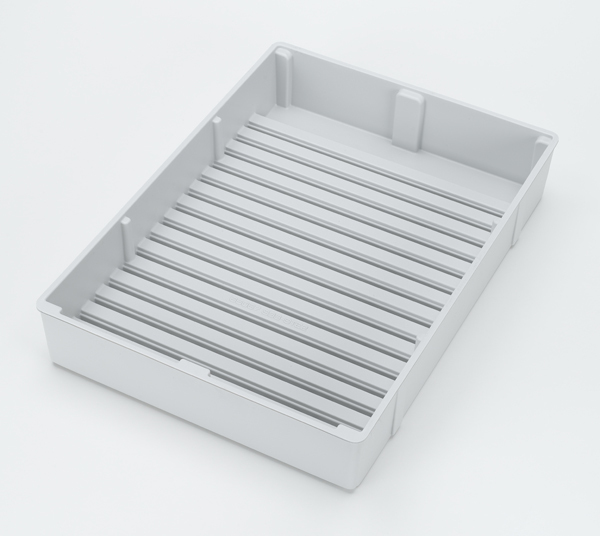 Stable storage, from 4 mm material. 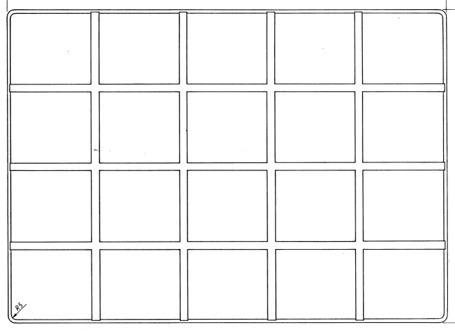 Benefit for partitions, divisible into 10 compartments. Length x Height: 460 mm x 80 mm. 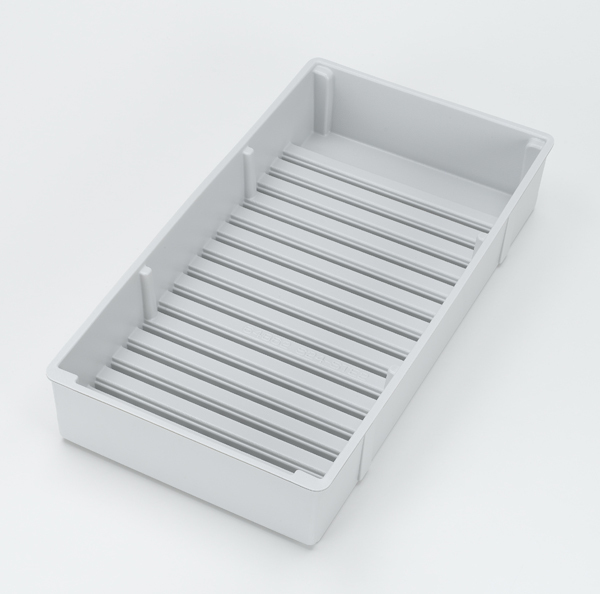 To store devices and device units, stable storage, from 4 mm material. 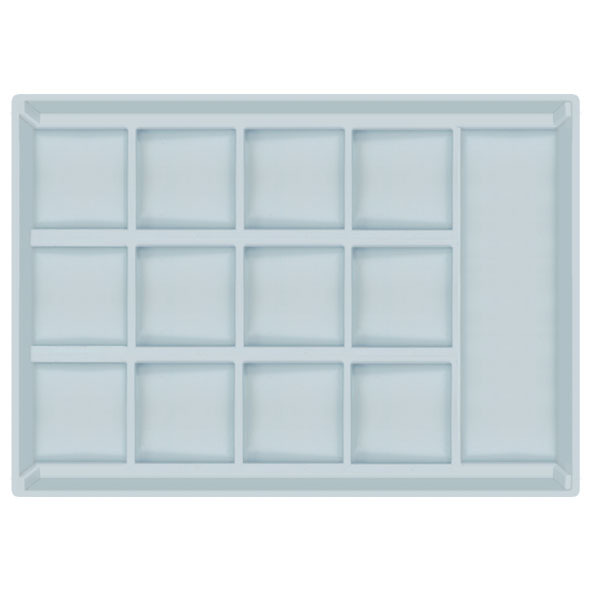 Variable division (with the following small trays). Tray sizes adapted to the trolleys' base frames. SU = Scanning unit for 86 mm x 86 mm. Shells to store devices and device units, stable storage, from 2 mm material. SU = Scanning unit for 86 mm x 86 mm.